Granita is a traditional Sicilian recipe, who became popular in the rest of Italy and worldwide. 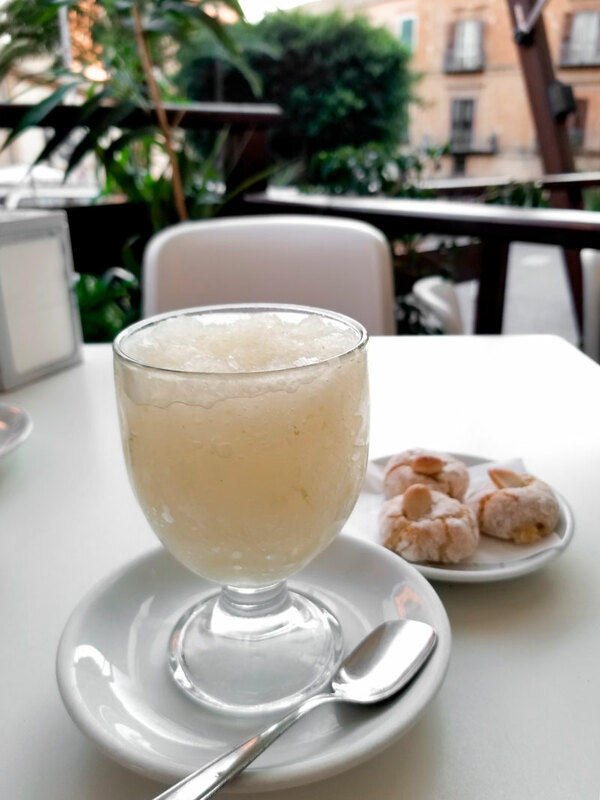 Unfortunately, due to its popularity, Granita is often served in cheap variations, and it is not easy to find it prepared following the original recipe. Sicilian Granita is a mixture of water, sugar, and fresh fruit juice, smooth and dense at the right point. Often Granita is mistaken for the Roman Grattachecca, named In Sicily Grattella. But, Grattachecca (or Grattella) is just shaved ice and juice or fruit syrup. Making homemade Granita is easy, but requires at least a couple of hours, and a little patience. Like all the recipes with just a few ingredients, the quality of them is critical! 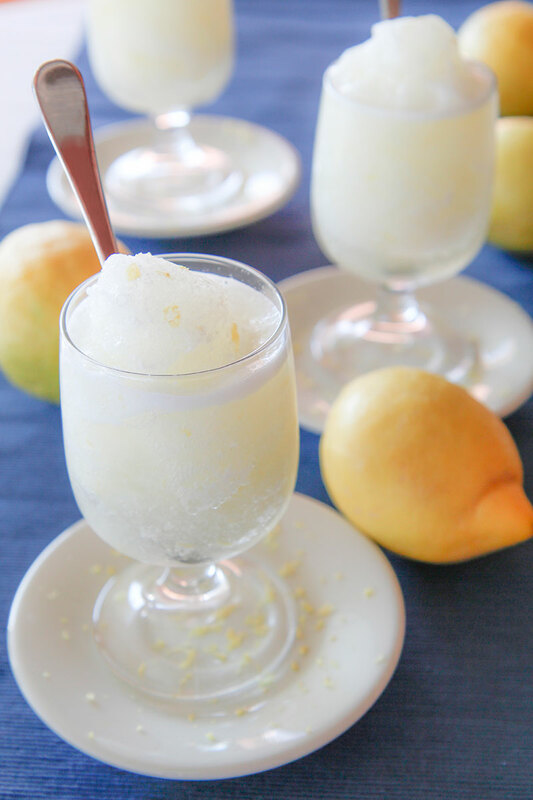 Lemon granita is traditional served aside Sicilian brioche or Sicilian almond cookies. 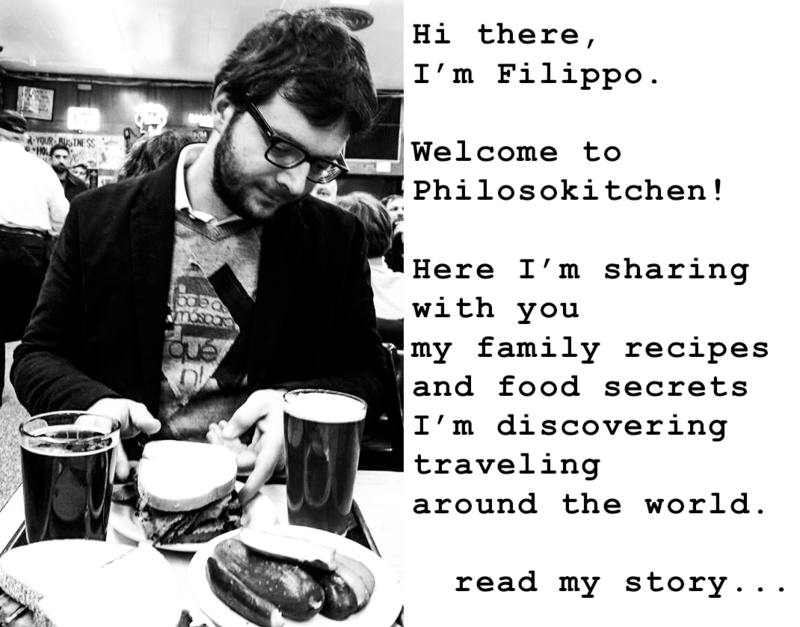 Traveling around Sicily a couple of weeks, I’ve been tasting several times Granita: the best places I found are Colicchia in Trapani and Caffè Concordia in Agrigento: if you are ever there, do not miss them! First, pour the sugar and the water into a pot, and place over medium/high heat until the liquid starts to simmer, stirring occasionally. Now, place the pot far from the heat, and add the lemon skin grated and the mint leaves. Let the water reach room temperature. 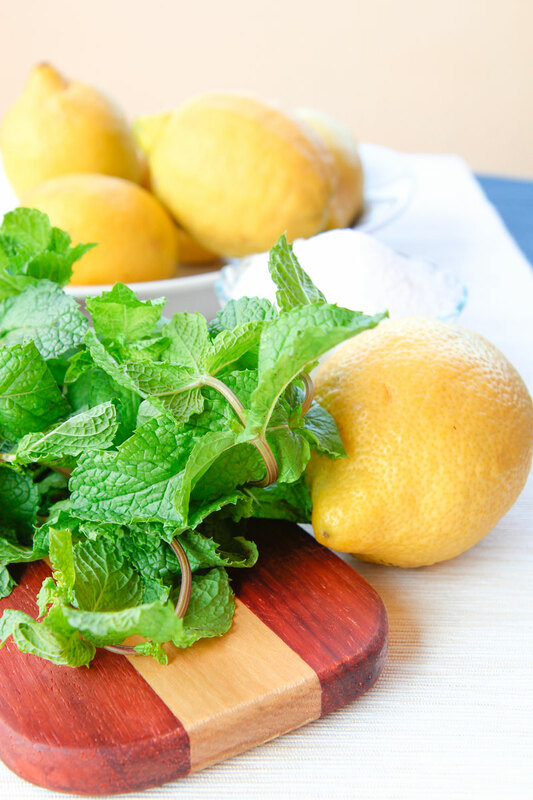 After that, discard the mint leaves, add the lemon juice, and pour the infusion into a glass box or bowl. Do not use metal or plastic boxes. Cover eventually and store into the freezer. After 30-45 minutes, depending on your freezer, check the lemon Granita: once it starts to freeze scrap the ice around the edges of the bowl with a fork and stir quickly, then store in the freezer again. Repeat the process every 25 minutes at least 4 times more: you want the Granita smooth and consistent, without any lumps of ice. Serve immediately. The egg withes make the Granita more fluffy and consistent. But, someone does not like the light taste of the eggs, so feel free to make your choice: with or without egg! 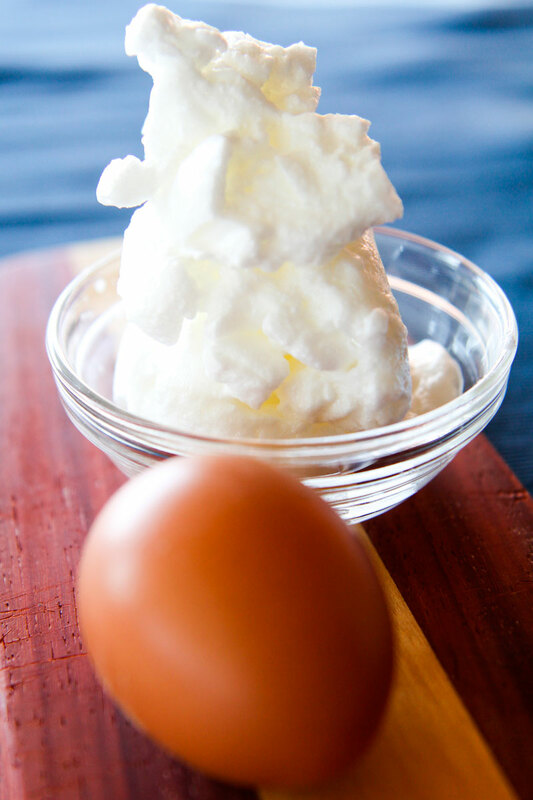 It is critical use trusted or pasteurized egg, to prevent any risk of food borne. First, crack the egg and pour the white in a glass bowl. Be sure to use perfectly dried tools: even a small trace of wet will stop the whipping process. Beat the white with a food processor or an electric beater until fluffy and firm. Finally, combine the whipped white and the lemon granita at the very end: stir until consistent and serve immediately. 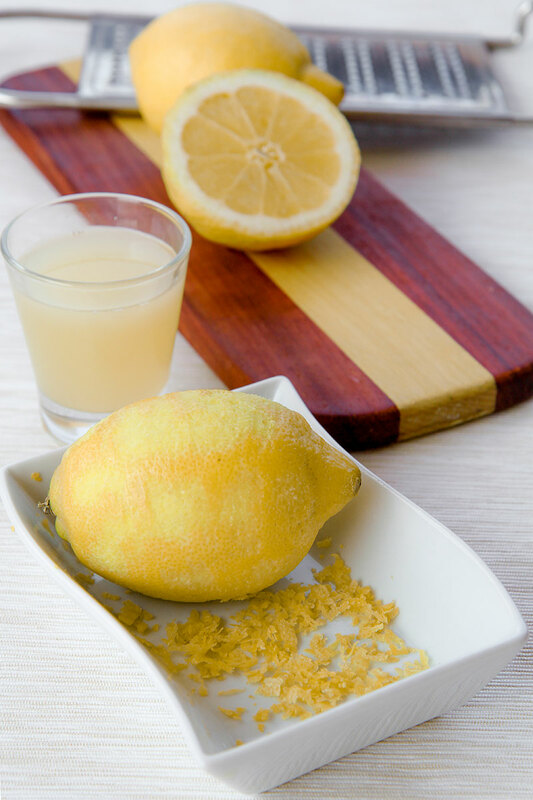 HOMEMADE LIMONCELLO ITALIAN RECIPE – ready in 3 days! « BEER BATTER RECIPE perfect to fry vegetables and seafood! I will try your recipe as it looks great but i will use the egg whites. 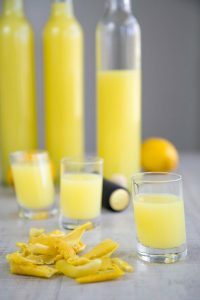 Let you know how it comes out as I tried others in the past and it is more like lemon slush. I hope you’ll like it Michael! 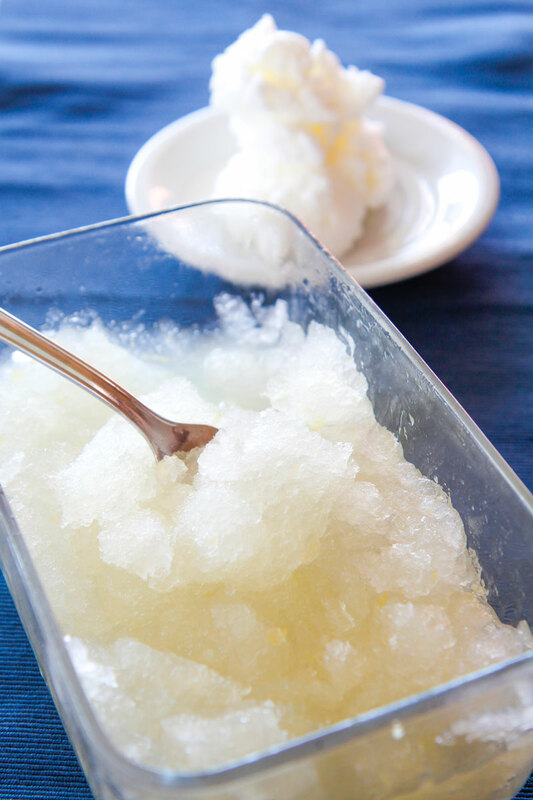 I’ve never written a comment about a recipe, but I felt compelled comment on your lemon granita recipe… as a Sicilian born American, this recipe reflects absolute perfection. Thanks for bringing a little bit of the Sicilian sunshine here. Thank for sharing your experience Sal!